I am in tears…just sobbing on my steering wheel. And no, not because my son went to school today. But I watched life pass before my eyes in the scariest 45 minutes of my life. And I felt hopeless as I sat with the thought that there was absolutely NOTHING I could do. 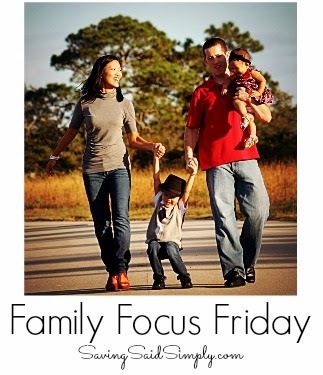 Today’s Family Focus Friday was extremely difficult to write, as I am still processing that day in my mind…and fighting back a few more tears. Bear with me as I am again reminded of keeping my family in focus, always. The day started out great. My son was so excited that today was going to be the first day of riding the bus. Nervous, scared and seriously excited about riding in his first EVER school bus (a 5 year old’s dream come true), I watched with tears in my eyes as I waved goodbye. My little boy was growing up. Don’t let these tears fool you. I didn’t become THAT blubbering mom. The day went by as baby and I were adjusting to the new schedule and having JUST each other. Everything went fine in fact, uneventful. We walked down to pick up brother at the bus stop that afternoon. I was actually excited thinking how much extra exercise I would receive by doing these bus stop walks everyday. The bus pulls up. 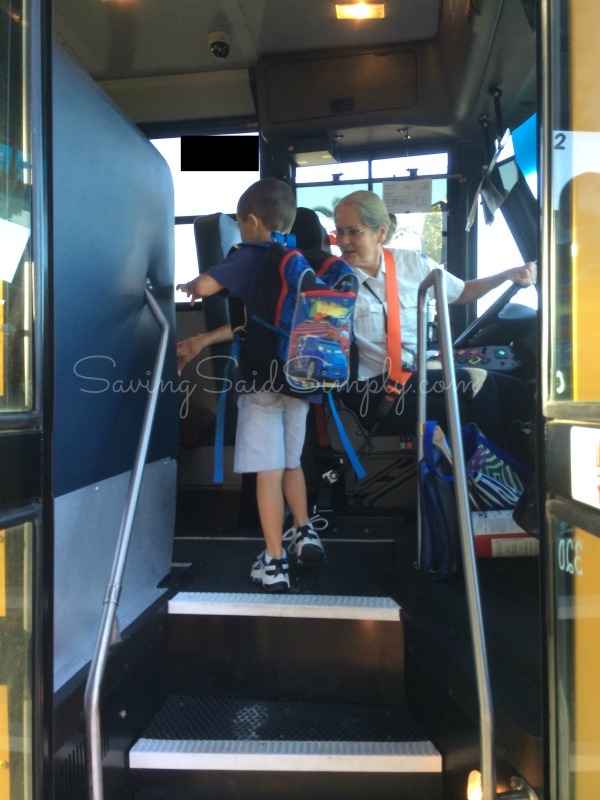 I’m so excited to see my son’s smiling face as he tells me all about his bus ride. I wait. I wait some more. Maybe he forgot his lunchbox and went back to the seat. I ask the bus driver. She gets up and walks the rows. I get on the bus and frantically search. Then my heart sinks. He’s not on the bus. Everything becomes a blur in that moment as I second guess everything from my day. I call the school. They get frantic. I am put on hold. I start walking briskly back to my house. I get in my car and start driving around the neighborhood. Seriously 20 minutes pass by now as the horrible thoughts go through my head. “Did someone take him? I should have spoke to him more about talking to strangers. Where could he be?” Then worse. The school hangs up on me. Hot tears are now streaming down my face as the minutes continue to drag on. I know that in an abduction, every minute counts. I call my husband without anything left to do except wait for the school to call me back. I try to calmly explain the situation. My voice is shaking. Darn it. He starts driving home. How many minutes has it been now? I say a prayer. Finally, the school calls. He got on a bus, the wrong bus. People are pointing fingers, blaming each other, trying to figure out where he is. No one can confirm he is still on the wrong bus. Trying to get folks to focus. “Where is my son?” More minutes pass by. I can see my son’s whole life flash before me. The bus finally pulls up to me. Blinking back tears, I run out of the car. Dear God, please let my son be on this bus. He comes out, tears in his eyes. “Mommy, why weren’t you there?” Oh, he’s so angry with me. But I don’t care. He’s angry. He’s here. He’s mine. I can hold him forever. It would take days for both of us to de-stress from the situation. Fingers still flying and pointing as everyone dodges the blame for the situation. But seriously? It’s the first week of school. He’s in Kindergarten. Things happen. I get that. I am NOT blaming the teacher, the driver, the school. I’m just so thankful to have my boy back again. It’s amazing how the scariest moments in life make you really appreciate the non-important ones. It was the longest and scariest 45 minutes of my life. The thought of ANY parent losing their child, especially for the length of time I did, I wouldn’t wish this on anyone. The lesson we learned? Hold my kids a little tighter today and everyday. All too soon they can be gone. Stop blaming. You waste more time trying to pin the awful situation on someone else instead of focusing on the issue. LOVE. More than anything, you appreciate someone so much more. I just lost a few years off my life, added a few more grey hairs and carry around this vivid memory in my head. There’s new things we needed to learn and go over. New experiences we need to pull through. But you bet, my son and I do NOT look at a school bus the same way again. And yes, he got back on the bus the next day. That’s my boy. WOW. That is the scariest thing ever. In our schools, the kids check in when they get on the bus so the driver knows who is supposed to be there and who is actually there. I had a similar thing happen my son’s first day. He didn’t get on the wrong bus, but his bus was 45 minutes late. I started to panic. When I called the school, they couldn’t tell me if he had gotten on the bus or not. That was the happiest moment of my life when the bus driver showed up at our doorstep. How terrifying! My oldest never got on the wrong bus, but we had it happen THREE times that the driver forgot to drop him off. He got back to the house, but much later. After that, I was over it and picked him up. That is scary.. very scary.. especially since he is not paired with a sibling. I’ve gotten my kids off the bus and parents of certain kids were not there waiting for them but they were late.. and the panic that sets into these kids is sad. I always make it a point to meet the bus stop parents and wait with kids until parents arrive. I know diff situation than your but same in the eyes of a kid. I cannot believe the school hung up on you. I’m thoroughly confused on that part. What a nightmare that situation was. My heart goes out to you all. I’m so glad he’s now on the right bus, and you’re all giving it another shot. Hugs, mama! Oh my gosh. How terrifying. I couldn’t imagine. I’m so glad he was safe and okay. How scary. Yikes that is aweful there are always snaffoo’s the first week of school.i’m so glad he is safe. I can’t tell you how many times over the years I have heard stories of of kids getting on the wrong bus. Myself and my kids have never taken the bus for school. This is always something I worried about happening if we did though. That is such a scary thing! I probably would have reacted even worse than you did, I think you handled it well! My daughter was telling me about a kid who fell asleep on the bus on the way to school. As everyone got off the bus no one noticed the kid, and the bus driver didn’t know. They realized he was still on the bus about two hours later! My second oldest was only to ride the bus one day. Staggered half day where we lived. I had to work, huge thing going on they wouldn’t let me out of…so I dropped my son off at his afterschool daycare (they did mornings too, and would only have to have him once ever for that staggered start in the a.m.). They put him on the wrong bus, he got off at the wrong school. My good friend’s daughter went to that school and saw him. She asked him why he was there (he was in Kindergarten, he had no idea why he was there). She took him to the office and told them he didn’t belong at that school. They called me at work, and the important thing I couldn’t miss, I had to leave. I should have just skipped it (the work presentation) to begin with… I’m not brave like you though, I’ve never had a kid on a bus again, lol. Too scary. I’m very very very glad your son was a-okay and made it home safe and sound. I started crying as I could feel your pain and panic. I am so glad that you have your boy back safe and sound. Oh my gosh! I would have reacted the exact same way. That sounds absolutely terrifying. I’m so glad your sweet boy got home safely to his family. OMG – that had to be so scary – I can not even imagine. Thank goodness he was a fine. OMG Christie I am literally crying over here. What a nightmare. I can’t even imagine how scared you must have been!!! So glad it was just a mixup. Oh my oh my oh my. Oh my goodness. I would have be scared too if I didn’t see my child get off the bus when he was supposed to be on it. how scary. I’ve have a few ‘missing’ experiences and it’s something I’ll never forget. I cant even imagine going threw that and having the school hang up on you. I am thankful you had a happy ending and glad it did not cause him to not want to go on the bus again. Happened to us the first day too. My daughter actually was on the right bus, but the bus driver rolled past the stop. An hour later and lots of phone calls to transportation and the school, the principal finally brought her home. It really is a scary situation! OMG!! That is so scary. I was getting nervous just reading your story! What a scary situation. I’m so glad he’s back home safe. Last year the kids and I went to the botanical gardens together. I turned to help my son with something, and when I turned back around, my oldest daughter was gone. It took me twenty minutes to find her. She’d just wandered back over to the play area we had visited earlier in our trip. It was the longest twenty minutes ever, and 90 million thoughts ran through my head. I am so glad your son was fine, as was my daughter. Moments like those sure make you hold your little one’s closer, don’t they? I would have been in total panic mode too! I’m so glad everything turned out ok. So I’ve actually had the point of view your son had happen to me. However for me it was at highschool and I was new to town. I had no idea which bus to get on to go home as the numbers on the bus weren’t the same as the ones when I left. Turns out they changed busses and which ones went where. I’m really glad your son was fine and that he is okay. *hugs* I can’t even imagine how that must have felt. Awwww ((hugs)), I’m so sorry this happened to you! This totally brings tears to my eyes, I can’t imagine all that was going through your head. I do understand though, from the opposite side of the story though. I was a school bus driver for almost 10 year. I have heard “the call” over the radio of the missing student – and I’ve had to pull over my bus to see if that missing student was on my bus by accident. It’s scary, even for us. Being that most of us are parents, it’s nerve-racking. If you have a good team (school staff and transportation staff) – these scary situations will not happen very often, but if they do, they’ll be figured out right way. Heartwrenching!! I’m sorry you had to go through that. I would have been frantic too. I have lost my daughter in the store before and about had a nervous breakdown so I can only imagine. :/ The school seems like they need a better checks and balance with the kids. Wow… I couldn’t even breathe reading this. I can’t imagine going through that. I am so freaked out about school buses because of situations like that. Luckily, I have a little while before I have to deal with that. Glad it all worked out and your boy was safe! Oh I almost got sick as I read. You both are so brave, so glad he got back on the bus,. So sorry you went through this! I had a similar experience. When my daughter (now 24) was 4 we lived in an apartment. A little girl from another building came over wanting to play with her. I let them sit out on the stair landing, cant remember why now. I was cooking dinner but had the door open and kept my eye on them. Looked away for what seemed like seconds and all of a sudden they were GONE. I about passed out. So I know the feeling. I ran outside and looked around and saw nothing. I started running down between the buildings yelling her name. Nothing. Finally I ran back to get my car. I drove around the whole place crying the whole time. Heart racing wanting to die. I circled around twice and couldn’t find her. So I head back to my apartment to call 911. When I get there, there is a police car parked out front! I don’t know why but I felt like they were there for me! Naturally they were not. So I look for the cop, not around and the car is empty. So I run upstairs to call 911 and for some reason I’m thinking maybe I didn’t look hard enough and maybe its too soon to call. I don’t know all kinds of weird things were going through my head, I was hysterical! Just then she strolls through the door. She says I went to (whatever the girls name was) house to trade barbie clothes. Well needless to say we had a nice talk about leaving without mommy etc. Worst 45 min of my life! Christie that is a scary time, I am so very happy it all worked out, I can imagine that 45 minutes was a life time. I had it happen in a different way, hubby and I were working painting a house to earn some money, Chris was about 3, he kept going back and forth between the two of us, we were in different rooms, the house was empty. I realized I had not seen in recently went looking and did not find him, Jim had not seen him in a long time either, we were in a neighbor hood about a mile from home, on the end of a mail road and down near a canal and then up a mile to our house, also on the canal. We hunted the neighborhood knocking on doors, scared to death, the canal was behind the houses across the street. (Alligators Oh MY), I decided to go to the house with the car, out to the main road, then by the canal then up the next street which connected to our street, ON the other side of the canal. (Loosing my mind the whole time). I got home and there he was 3 years old, he had missed our dog and walked home, he was sitting on the bench on the front porch talking with the dog, the windows were open. UNBELIEVABLE fear, relief, fear, relief..
Chris is now 43, it is still a haunting thing that comes and goes in my mind.. This is Diane, your hubby’s cousin. I am glad he helped me find your blog.